1. Mike Nichols’ Personal Touch. 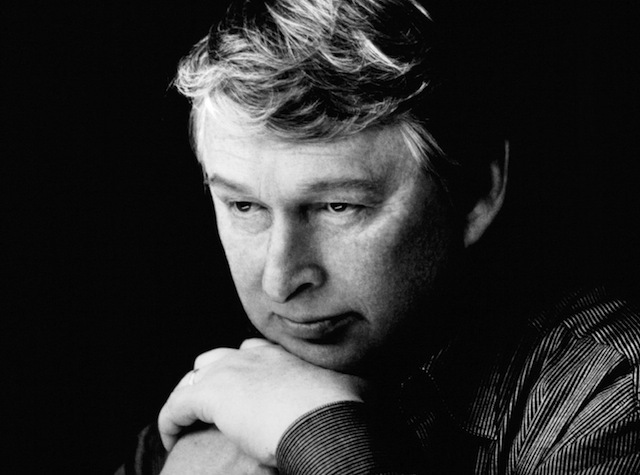 Mike Nichols’ death prompted plenty of appreciations, with several praising his sometimes acerbic, sometimes warm, always incisive touch. But Betsy Sharkey of The Los Angeles Times in particular felt connected to his work and in the way he wrestled with big, important questions without becoming didactic or losing his compassion. It was clear where his soft spots were. You could generally find Nichols on the side of the disenfranchised, “Working Girl”; the whistle-blowers, “Silkwood”; the pacifists, “Catch-22”; the activists, “Charlie Wilson’s War”; the boundary pushers, “Carnal Knowledge.” If you had a righteous fight — and a sense of humor — there was no one better to enlist. Virtually every issue that has roiled us since the 1950s found a clear-eyed sounding board and a compassionate storyteller in Nichols. Read more. 2. Women Who Aren’t “Likable” Still a Tough Sell. “Gone Girl” was a huge hit, and Rosamund Pike is a likely Best Actress candidate, but female characters who aren’t “likable” are still considered a tough sell on film. The Los Angeles Times’ Christy Grosz investigates. The “U-word” has also been a part of discussions around some of this season’s films, notably Jason Reitman’s “Men, Women & Children,” in which Jennifer Garner, Judy Greer and Rosemarie DeWitt’s characters go to equally distasteful lengths to navigate relationships in their lives. Reitman says the discomfort in seeing women playing unpalatable roles might just come from not having seen as many stories about women on-screen. “I’ve said this before: If you want to make original movies, make movies about women, because their stories have not been told as much,” he says. “It’s an interesting line between portraying individual women versus portraying women as a gender, and that’s certainly something that people are sensitive of. When I hear people argue about ‘Gone Girl,’ the conversation often boils down to, ‘Is this just one sociopath, or is this an interpretation of women?’ And we live in a sensitive time.” Read more. The Dissolve: It’s surprising, given what you had done on “Waking Life,” that the expectations weren’t set in pre-production for how long the process was going to take. Sabiston: That’s the problem. They were set by that. They were expecting a “Waking Life”-type experience, but none of us understood how much more time “A Scanner Darkly” was going to take. I’ll list the things I got into with them. It was kind of a perfect storm. First, the frame-rate was doubled—instead of 12 fps, it was 24. Then instead of one big talking head, like you mostly had with “Waking Life,” there’s like four different people onscreen at once, and the camera’s moving. That’s like doing five “Waking Life” scenes at once. And then you have the style, which is at least three times as complex as anything in “Waking Life.” A lot of it didn’t come together until the end, but we should have estimated that it was going to be three to four times the budget of “Waking Life,” and they budgeted for maybe twice, thinking that was being generous. Read more. 4. Former Mormon Missionary on a Missionary Horror Movie. The new horror movie “Missionary” is a generic “crazy dude stalks woman” movie, but with a novel twist: the guy doing the stalking is a Mormon missionary. Salt Lake City Weekly’s Eric D. Snider, a former Mormon missionary, writes that while the film is bad, it isn’t necessarily an anti-Mormon movie, pointing to the religion becoming more mainstream and accepted. No, this isn’t a movie about how Mormon doctrine is crazy. It’s a movie about a crazy person who happens to be Mormon, a psycho whose particular brand of psychosis involves Mormonism.There’s no attempt to suggest, even by implication, that Elder Brock’s actions are what practicing Mormonism leads to. There’s no agenda here, no ax to grind. Read more. 5. Netflix and Amazon Ratings. Nielsen announced that it plans on measuring viewership for Netflix and Amazon Prime shows. But Nielsen’s method won’t be able to measure mobile viewing (a substantial amount of viewers), and there are other caveats. Vulture’s Josef Adalian writes why we’re not going to learn the size of “Orange is the New Black” audiences anytime soon. What the Journal story doesn’t mention at all is whether Nielsen has any plans to tally viewership for original content produced exclusively for Netflix and Amazon — shows such as “Orange,” “Transparent,” and “House of Cards.” In theory, it would seem the same Nielsen tech that measures the audio on “Scandal” could also pick up whatever “House of Cards” sounds like. One industry insider, however, wonders whether Nielsen would bother spending the time and money to measure Netflix and Amazon originals unless a specific client were willing to foot the bill for it. Read more.